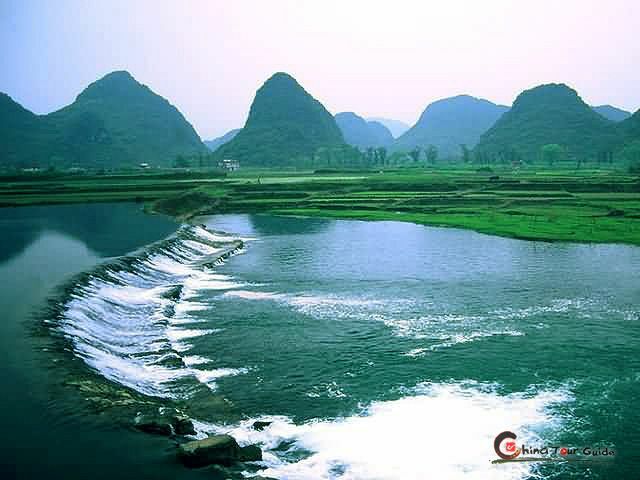 The Yulong River is a major tributary of the Li River. 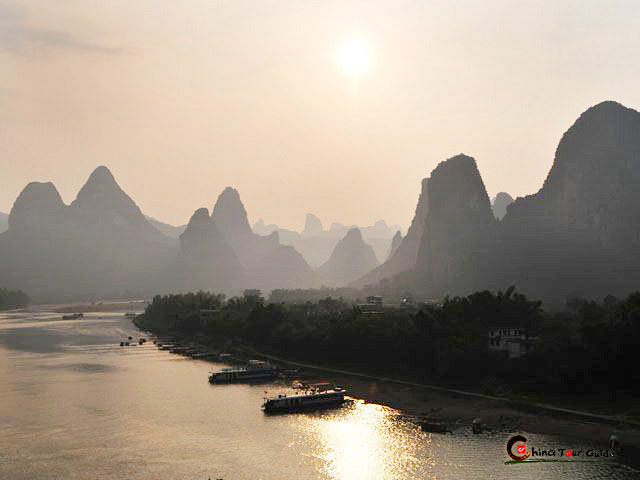 Rafting there allows another excellent vantage point from which to experience the Guilin limestone mountains at their best. Local people use rafts as daily transportation up and down the river between house, markets, and rice paddies. 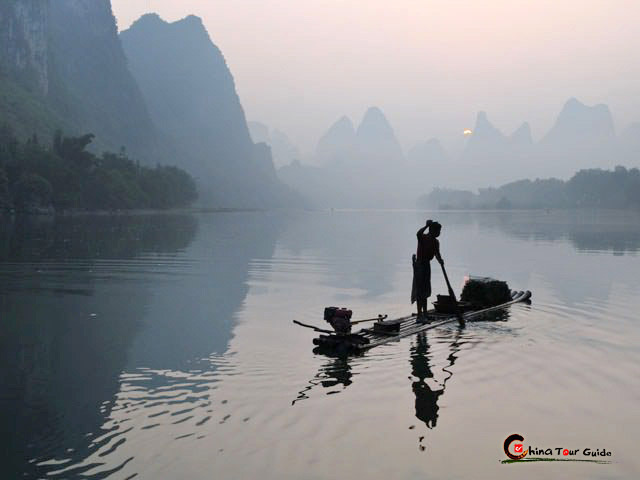 A number of years back, some villagers made bigger rafts, started to woo the travelers, and soon it became a highlight of traveling in Yangshuo. At the bridge just before Moon Hill, plenty of rafts are waiting to carry you downstream. Each raft can seat two people and the whole journey takes about one to two hours. The voyage is relaxing and can be an opportunity to spend some romantic time with your special someone. If you want to cool off, some like to jump into the refreshing water for a short swim. The perfect combination of water, ancient bridges, Karst mountains and countryside scenery makes this rafting trip one of the favorite choices of photographers and artists coming to the area. 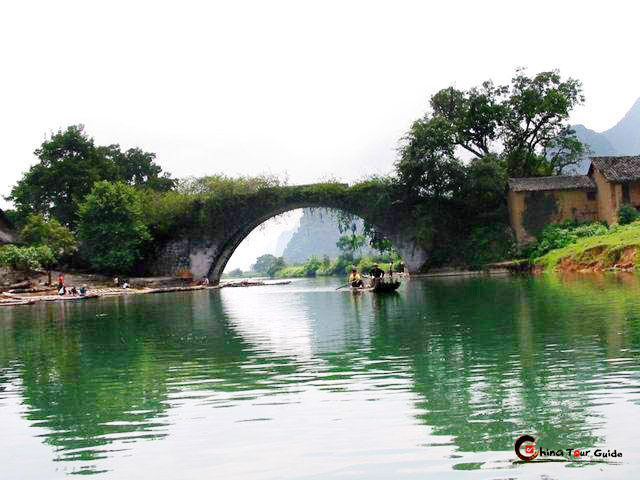 For those who are looking for a fabulous hiking or biking tour, we recommend you to walk or cycle to the Yulong Bridge on the trails along the Yulong River. 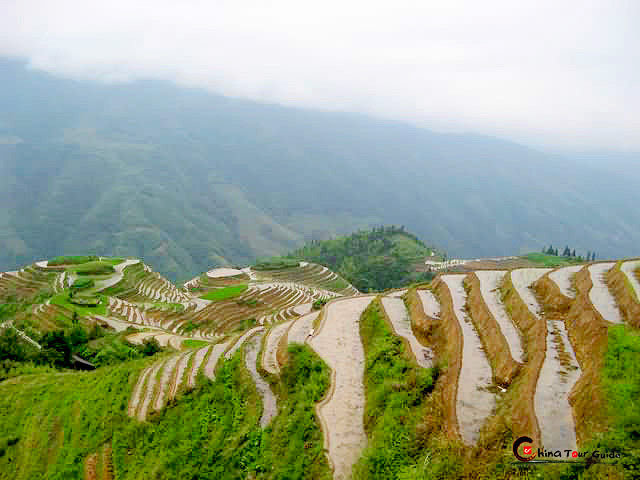 From there, you can rest for a while by taking the raft tour down to Gao Tian. The views from the river hold a different kind of beauty.